A walk on the beach with my dad inspired this painting. Dad and I walked the beaches from Cape Cod to Florida. Always wishing to inspire my next painting, he is there at the easel with me every time I paint the sunset. His love and admiration kept me painting ~ and still does! This acrylic painting is created on linen. 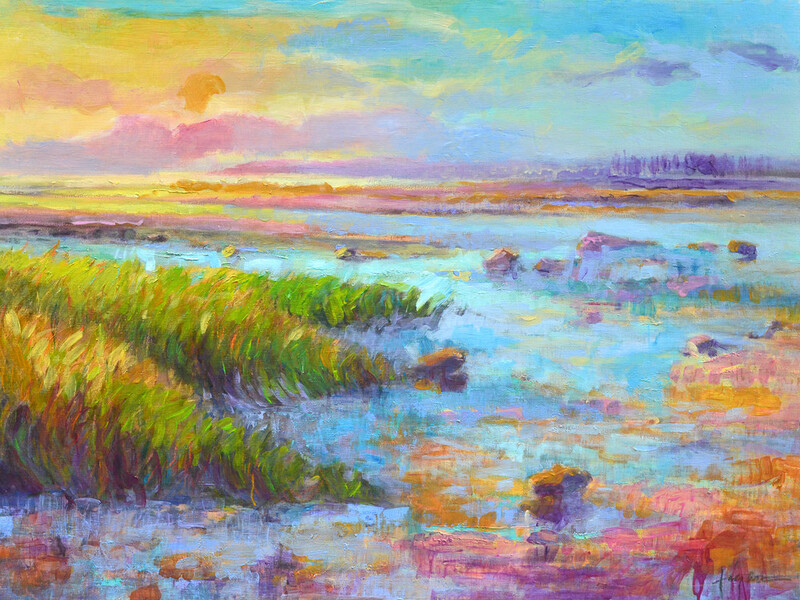 Inspired by walks with her father, Dorothy painted this stunning coastal landscape from memories. 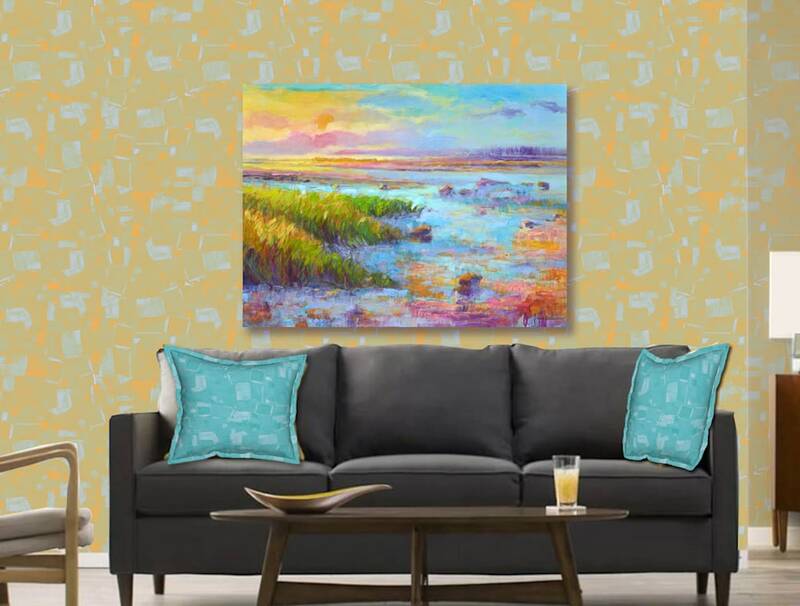 Emotions fused with flashes of color, wisps of salty air, echoes of conversations ~ this painting captures a vibrancy and light renewed. "Discovering that people and emotions fuel my desire to paint, has made me a better artist." September Chase II combines jewel tone aquamarine with gentle pastel lavenders, golds, and orchids. 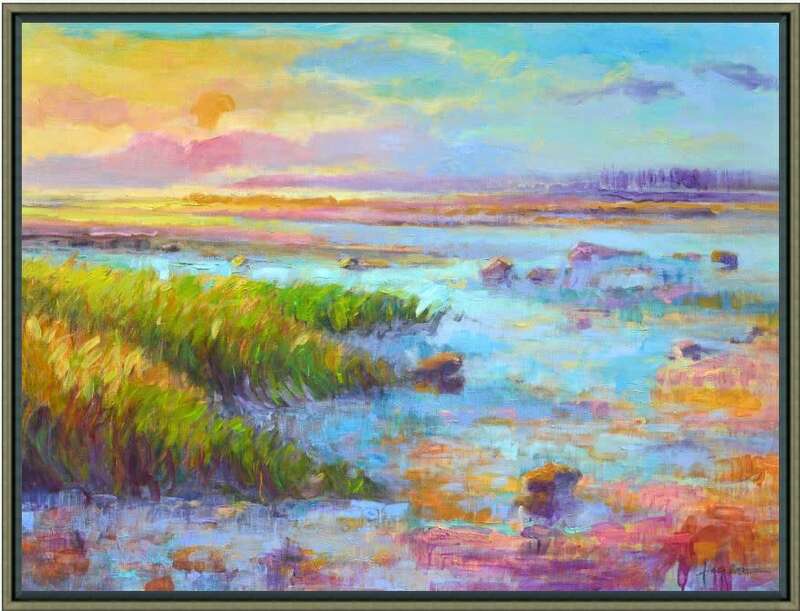 The painting both uplifts and soothes with abstract foreground playful grasses, juxtaposed by tide pools, light and shadow. It would be perfect in a coastal cottage or beach house, for a bedroom, great room or guest suite. Select media first, then choose the size. Use the Wall Preview Tool to check the scale and color of your room.